As the Oscar producers try to change things up, it's an oddly unsettling year. 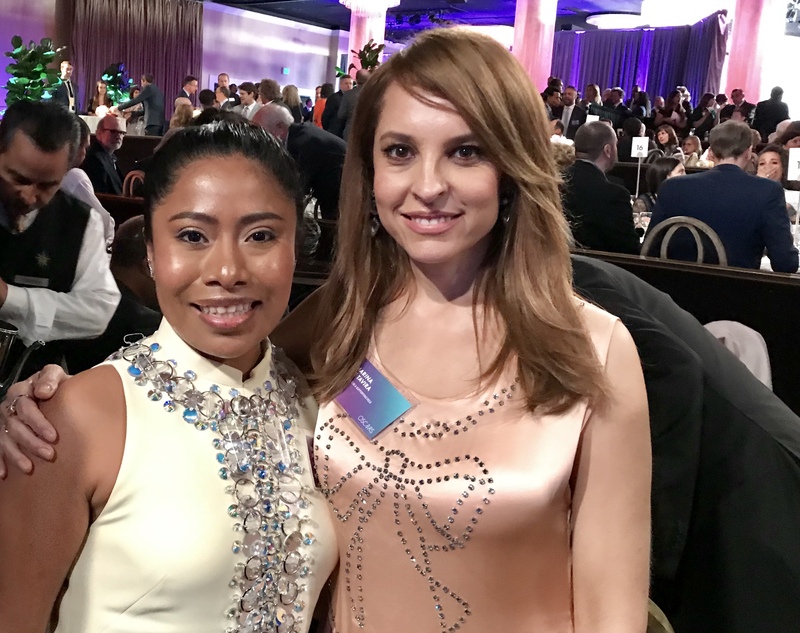 It looked like business as usual at the 38th annual Oscar nominees lunch. A smiling set of Oscar show producers begged Oscar-winners to keep their speeches short. (Steven Soderbergh’s acceptance speech for “Traffic” was new Oscar show producer Donna Gigliotti’s choice for the ideal combination of heart and list-free brevity.) But this year, the producers mean business. The goal for Gigliotti and her co-producer Glenn Weiss is to keep the show to a mere three hours — a full 45 minutes shorter than last year’s low-ratings exercise. “It means you can hit the parties by 8:15,” said Weiss. This is an experiment. Let’s see how it works. For the annual class photo, the Academy invited 212 nominees from 52 movies to join the lunch. 171 attended. No-shows included Adam Driver (shooting “Star Wars: Episode IX”), Emma Stone (“Zombieland: Double Tap”), Olivia Colman (“The Crown”) and Kendrick Lamar. Many wondered: Will he sing his collaboration with SZA collaboration for “Black Panther,” “All the Stars”? The Academy finally started announcing details of the show. All five songs will be performed (under pressure from Lady Gaga) and presenters for this year’s no-host version of the show include Awkwafina, Daniel Craig, Chris Evans, Tina Fey, Whoopi Goldberg, Brie Larson, Jennifer Lopez, Amy Poehler, Maya Rudolph, Amandla Stenberg, Charlize Theron, Tessa Thompson, and Constance Wu. AMPAS President John Bailey reminded the room that the number of Academy members has ballooned in the past few years to “8,971 around the world,” he stressed. Eighty-seven countries submitted foreign language films, and for the first time, all California and international members were able to vote for the foreign shortlist. And this year’s Oscar nominees were truly international, from directing nominees Alfonso Cuaron (“Roma”), Yorgos Lanthimos (“The Favourite”) and Pawel Pawlikowski (“Cold War”) to Pixar Chinese-Canadian story artist Domee Shi (“Bao”). 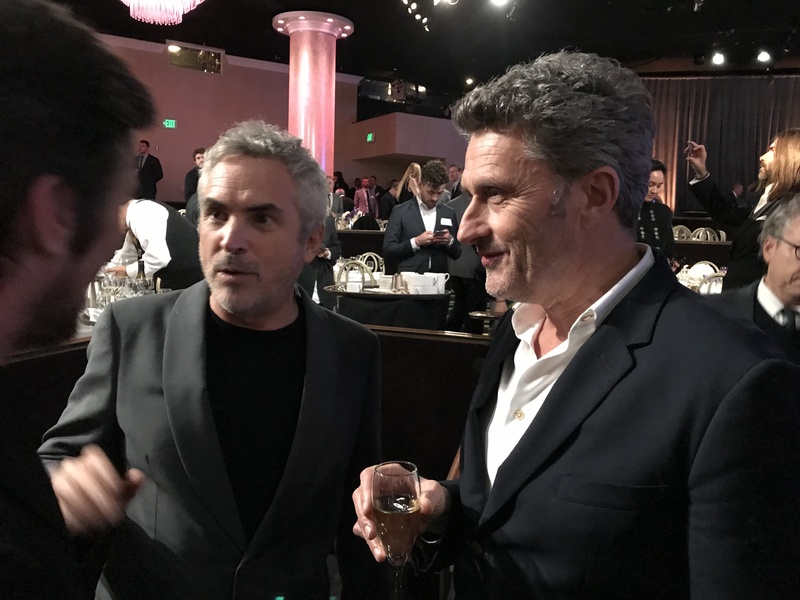 Cuaron could make that podium run five times on Oscar night: for Picture, Director, Cinematography, Original Screenplay and Foreign Language. Bailey promised to continue to pursue diversity in all the 17 branches of the Academy, and urged the industry to work toward gender parity. He noted that Spike Lee had finally landed his first directing nomination, and Paul Schrader his first writing nod, decades after “Do the Right Thing” and “Taxi Driver,” respectively. 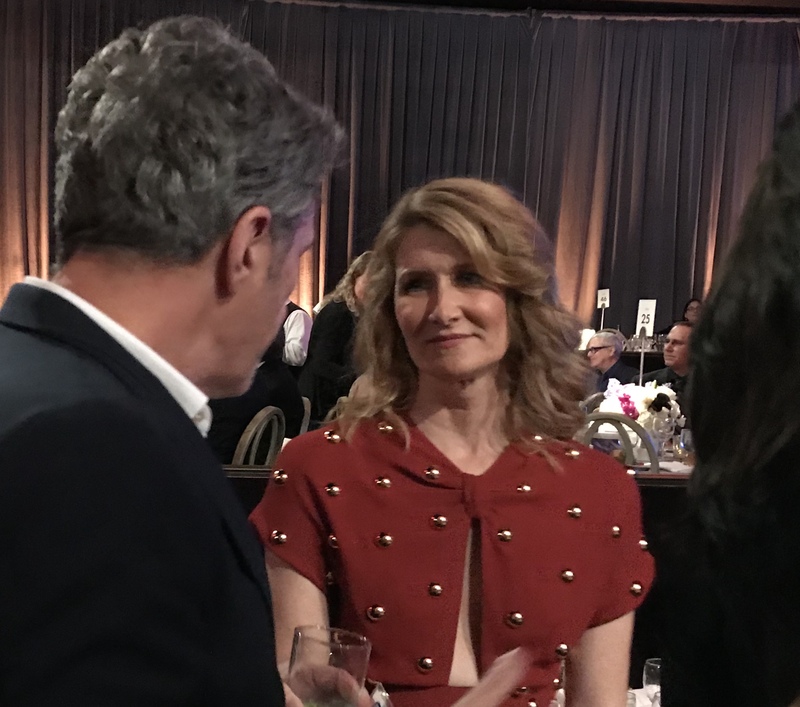 “Today, in its purest sense, is a celebration of being part of a collective community,” said acting branch Academy governor Laura Dern. “This is our opportunity to recognize your profound input.” She then read out the names of the nominees as they climbed up on the risers for the class photo, the women often teetering on high heels. These stars of modern cinema squeezed together on the riser, some well-known, others unheralded behind the scenes—except on Oscar night. On one row were Lanthimos, Barry Jenkins, Paul Schrader, Nadine Labaki, Christian Bale and Rachel Weisz. Spike Lee reminded Domee Shi to hide her name badge, and warmly welcomed “Black Panther” costume designer Ruth E. Carter, who had worked with him on “Malcolm X.” Pawlikowski was acutely aware that he was so tall that he was blocking the view for the diminutive Aparicio, standing behind him, and kept ducking. As usual, celebrities earned the most applause, from the first name called, Spike Lee, to Glenn Close, Richard E. Grant, Sam Elliott, Bradley Cooper, Christian Bale, Lady Gaga, Rami Malek, Viggo Mortensen, Regina King and, arousing the day’s biggest cheers, “Green Book” star Mahershala Ali. That one is in the bag. Reading the vibes, I felt the love for “Bohemian Rhapsody” as a movie saved from rogue director Bryan Singer by the producer Graham King and editor John Ottman, as well as Peter Farrelly’s career-turning success, “Green Book.” Both of those narratives make many people feel good, along with “A Star Is Born” and “Shallow,” which brought tears to Gaga’s eyes when it played. But the rank and file of the Academy, like the wide range of artists, from actors to VFX supervisors, who were posing for the photo? They are happy to work for whoever wants to hire them, wherever that movie is going to play.